The core chuck provided by Tengxuan is mainly designed to assure if the web control works laterally and radically. The supplier, Wuxi Tengxuan, was established in 2004 and has won the reputation of providing core chuck or rotary unions in the industry. The applications of this product are various from food to ironsteel, and most of the time; it expands to grip the inner diameter of a core to help control the tension of the web. Some of the other applications of the core chuck can be used throughout the web converting and packaging industries to unwind and at the same time, rewind the web material. The quality is all the matters, therefore, Tengxuan has a professional research team to develop and manufacture the product in fine quality as possible as we can. 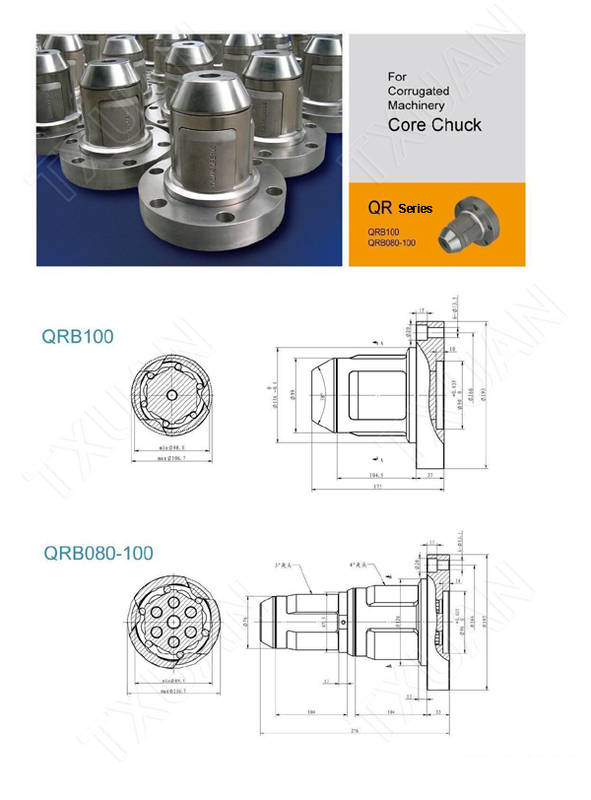 With the use of the standard equipment, the core chuck is produced under a well-organized production line. Our goal is to do our best to satisfy your demands on the products. You can feel easy to choose from since we provide you a wide selection for your web converting application. If you are interested in our product, please contact us today for more detail!